One of the youngest teachers in KJC, he is a fast learner that has been playing drums and guitar for a long time. Dennis Chamber, Jen Ledger and Daughtry are his references but he likes to play very different genres when performing with his bands Le Piro and Silver Serenade. 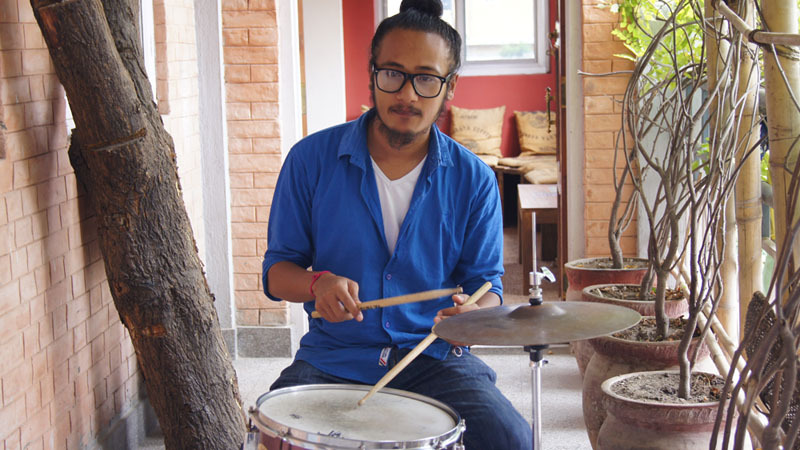 The most inspiring moment in his career was to perform with the Nepal Army Big Band and with next to one of his idols, Rajat Rai who is also KJC’s academic coordinator.